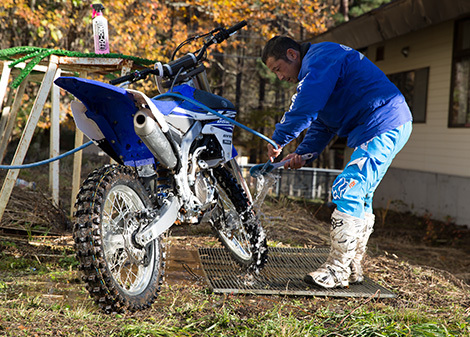 Chapter I Off-road Gems: The YZ250FX and WR250F - Off-road Mania | YAMAHA MOTOR CO., LTD.
On November 2, 2014 at Mt. 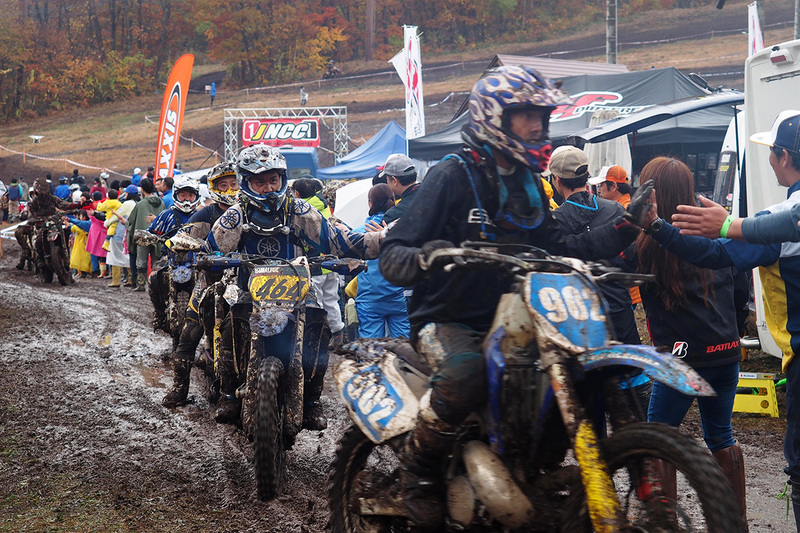 Jiigatake for the seventh and final round of the Japan National Cross-country Series, the new YZ250FX was unstoppable. This event brings the largest number of racer entries for the season in Japan, but the riders on the YZ250FX took the top four positions in what was the machine’s debut race. Just like the Grand National Cross Country Series (GNCC) held on the East Coast of the United States, said to be the home of the world’s best cross-country enduro racing, this competition in Japan goes on for three hours or more. The race is held at a ski slope several kilometers east from the tunnel leading to Kurobe Dam—one of Japan’s largest—in the extensive Tateyama mountain range. 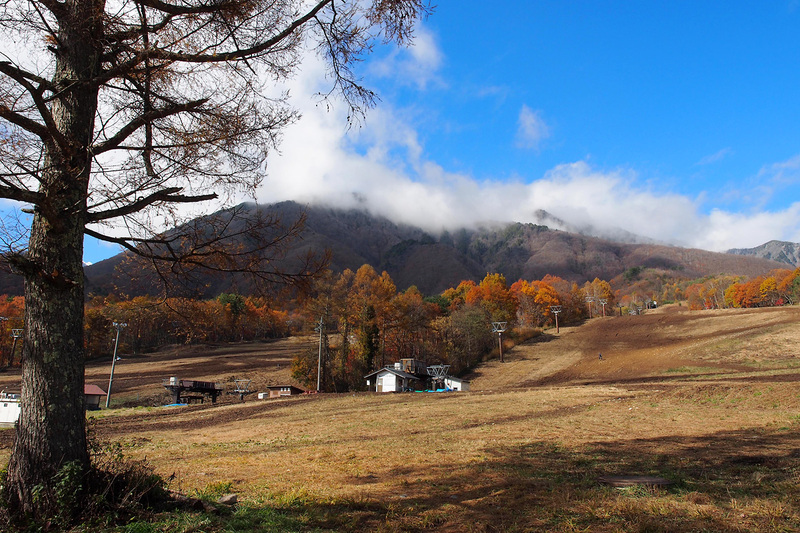 It is the season before the first snows and cross-country enduro riding enthusiasts had gathered here to ride. There that day was Kenji Suzuki, the main development test rider for the new YZ250FX, and he attributed the day’s success to the way the machine bolted up the steep rocky slopes. Looking back, we can find the unheralded origins of Yamaha’s off-road machine development in the DT-1 model that debuted in 1968. In the 47 years of pioneering off-road motorcycles since then, the YZ250FX is the first enduro machine to bear the famed “YZ” designation in its name. There is also more meaning to this naming than the fact that it inherits much of the DNA of Yamaha’s motocross machines. The choice of “YZ” in the product name is a reflection of the developers’ desire to propose and pioneer an entirely new category of machines and deliver them to off-road enthusiasts around the world. 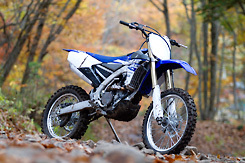 The WR250F (model for North America and other markets) developed concurrently with the YZ250FX adds lights, a speedometer, a model-specific muffler and more. Despite the fact that it is tuned with characteristics to make it adaptable to a variety of off-road riding scenes, from the maneuverability for trail riding through wooded areas to more relaxed and fun outings, it is otherwise an “identical twin” of the YZ250FX. There is no substantial difference in their performance potential, and they are both crystallizations of our nearly five decades of off-road machine development. The enduro riding scene has changed over the years and with the preferences of each region. Enduro enthusiasts have ridden on the arid terrain of the American West, on the beaches of the European coasts, in the forests and wetlands of North America, and even on ski slopes in the summer. And now, a trend steadily gaining popularity in Europe, North America and Oceania is “cross-country enduro” riding. This is a form of competition where riders race a 5–10 km course with various trail types, be it sand, mud, rocky slopes, fallen leaves or fallen trees, over several hours, competing for the fastest lap time. It is also a tough sport. If you and your machine don’t become one and manage to maneuver up the rough and rocky slopes—that are even difficult to climb on foot—you won’t reach the finish line. 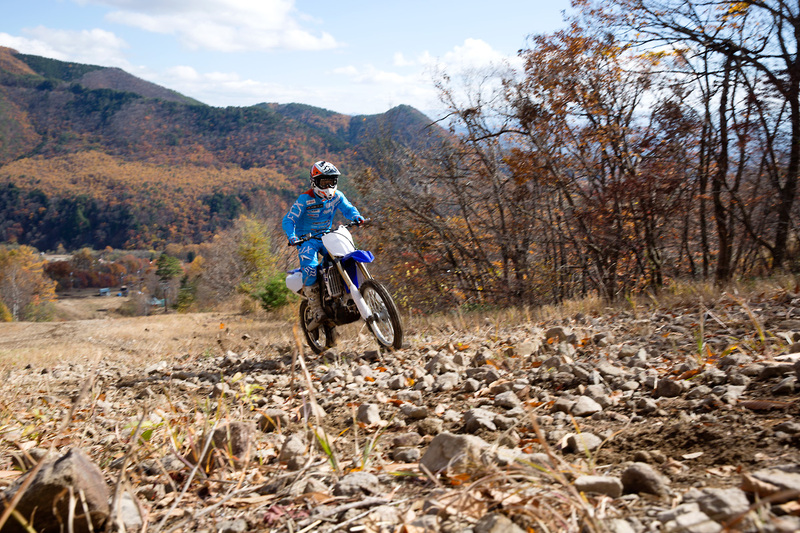 Many riders with motocross experience use the skills they have acquired through that to enjoy enduro riding as well. But, today’s cross-country enduro riding is a bit different, and even top national championship motocross competitors will not necessarily find it easy to master in their first attempts. “Motocross racing is run on man-made, well-maintained closed courses where you know what’s waiting around the corner. It’s also easy to get a preliminary look at the course. Basically, you can push ahead by tracing the lines in the dirt. But in enduro, there are really no set lines to run. There’s the uncertainty of not knowing what lies ahead,” says an enthusiast. His comments are echoed by his comrades. The first Yamaha enduro machines were the 2-strokes of the IT Series introduced in the 1980s. These were followed by the 4-stroke TT Series, and later, the WR Series based on the YZ Series. These off-road motorcycles were widely used in a variety of enduro riding scenes. 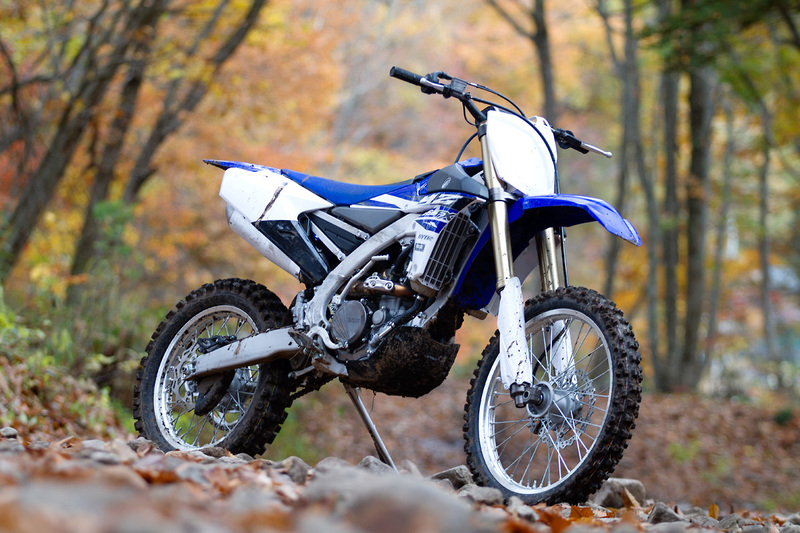 For 2015, Yamaha’s enduro model lineup includes the WR450F, the YZ250FX and the WR250F. In one sense, it is easy to list the differences between the YZ250FX and the YZ250F motocrosser. For example, the YZ250FX—and the WR250F—use a model-specific ECU, are equipped with a wide-ratio 6-speed gearbox, the frames are specifically tuned for enduro riding, there are specialized settings for the front and rear suspensions and both use a rear 18-inch wheel and tire combination specifically meant for enduro riding. Among these, the single most important component determining the unique character of the YZ250FX is the ECU. Simply describing the difference as a rewriting of the data to shift the performance to emphasize the mid- and low-speed range, however, would by no means be sufficient to describe the actual fine-tuning that was involved. A tremendous amount of effort went into developing the dedicated ECU’s program. A programming specialist in charge of tuning the model’s fuel injection creates a 3D map for the system’s settings and loads it into the ECU. Then, the ECU is mounted on a test machine for off-road evaluations of its performance based on test rider perceptions and input, or Kanno Hyoka. The results of these tests are analyzed and returned to the fuel injection specialist for setting adjustments. The revised map is then loaded into the ECU and further off-road tests are run. This process is repeated until the ideal settings are found. Test rider Kenji Suzuki spoke about the development process: “When it comes to re-programming the ECU, the demands are far more severe than with the YZ250F. 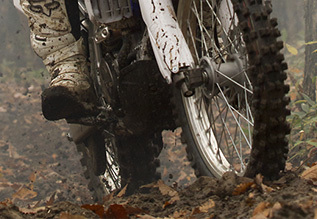 In motocross, you typically keep engine revs above 3,000 while riding. But for enduro riding, you have to be incredibly specific with the characteristics, going all the way to fine-tuning the bike’s ‘never-give-up’ feeling, like seeking the lowest point that engine braking will cause the engine to stop. I think it’s just around 1,500 rpm. In that range, you’re in a realm where the data doesn’t even show up on the computer as data that can be verified. “We went through the process so many times; it was more than enough to make you frustrated. I’ve worked on the development of a lot of off-road machines, and I feel that the hurdles involved in developing enduro machines are the highest of all,” he finishes with a smile. The end result of the tuning process gave the YZ250FX settings sufficient to move the machine slowly along with essentially no throttle as well as plenty of mid- and high-speed punch. 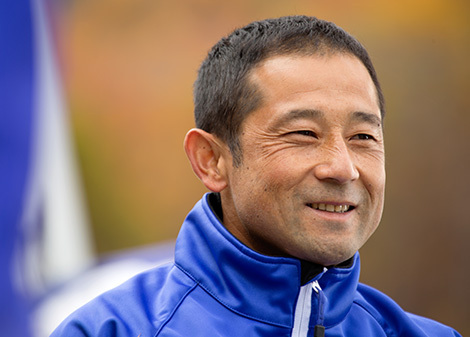 Suzuki was obviously proud of the performance that he and the team had achieved. “Riding this machine in a motocross race with its standard settings will still show how much competitive potential it has. While this obviously depends also on the rider’s skills, I would say that it’s certainly capable of qualifying for International A Class motocross competition,” he says. 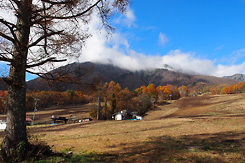 If you head north by car from Yamaha Motor headquarters for about 40 minutes, pass by an old temple, go up a winding road alongside a stream and past a golf course, you will eventually arrive at Trail Land Hamakita. Opened in 1970, this off-road riding course is the “homeland” of Yamaha off-road machines and a site of pilgrimage for many owners. The research and development work for generations of off-road models has been done here. Trail Land Hamakita has multiple motocross courses, an “international trial” (IT) course and a Supercross course. Snakes and frogs are frequent visitors to the courses. Enduro machine development is done here in conditions that duplicate the conditions of overseas enduro riding. About 90% of the development test-riding for the YZ250FX was also done here. When Yamaha test riders enter enduro competitions, they don’t have a dedicated team of specialists there to help them set up their machines. The test riders themselves must prepare the bike, changing the wheels and tires, adjusting the air pressure, etc., and then they set off to race. Because the riders are the ones changing the various parts one after another for their own bikes, it is easy for them to detect and identify even slight differences. They also clean the bikes by themselves so that they do not neglect checking even the smallest details. As part of the YZ250FX development process, these test riders accurately communicated the information they had gathered in such races to the engineers. The shapes of the engine mounting brackets were adjusted by shaving away portions of them in millimeter increments, and various attachment methods were tried. As one of the members of the development team confirms, “We tried more than ten different mounting methods for the engine alone.” Looking at the some of the smallest parts of the machine reveals the unrelenting attention to detail born of the on-track experiences of the test riders and the handcrafted results of the development staff. For example, the diameter of the rear axle on the YZ250F is 25 mm, but on the YZ250FX, it is 22 mm. 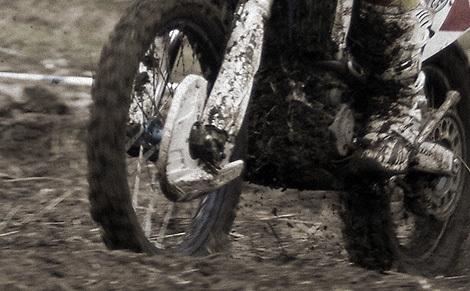 The diameters of the wheel spokes were also adjusted in millimeter increments, making them smaller than those on the YZ250F in order to get the desired balance. There is also unique variety in the development riders themselves. Four riders worked on the YZ250FX. All of them have a passionate love of off-road riding and have competed at the top levels of domestic and international enduro competition. These four worked by taking turns riding four test machines with different specs and comparing their performance in order to determine the settings for an ideal machine. It was not a process based on the feeling of one or two riders, but four riders all working on the same areas, exchanging opinions on equal terms and exchanging information as they worked toward the final settings. “I believe that Yamaha’s strength is that we have people who love off-road riding working together like this in a thorough, comprehensive approach,” says test rider Kenji Suzuki, he himself a former rider for Yamaha’s factory motocross team. This is surely one more reason why Yamaha is known as a leader in off-road bikes.